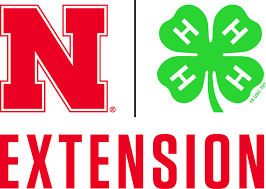 The public is invited to stop into the Cherry County Extension Office at 365 North Main (which is in the old courthouse building, on the main floor) on Friday, February 15 to celebrate the 150th birthday of the University of Nebraska. Enjoy refreshments, hear about a little history, and see where UNL is going in the next 150 years! This is also a great time to enroll in 4-H. The office will be open from 8:30 am to noon and 1:00 to 4:30 pm.